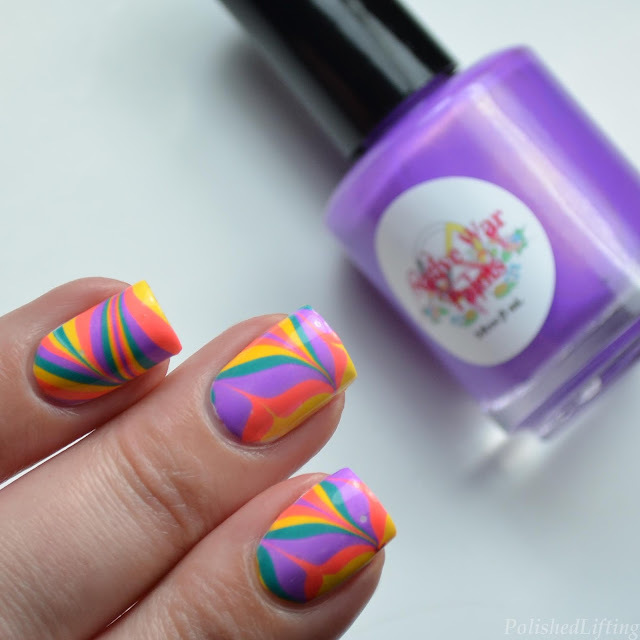 I love all things neon, so when I finally had the chance to wear my "new" Native War Paints shades I knew that I had to do a water marble with them. I quote new because I bought them during the November 2016 Black Friday sale. 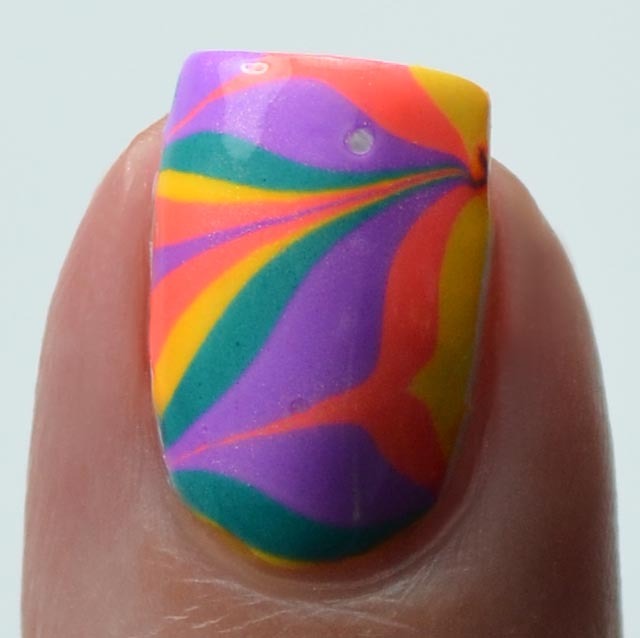 I have fairly limited experience with Native War Paints, but almost all of their polishes water marble, so I figured I would take a chance. For this look I started with a base coat of white. Once that dried I marbled Native War Paints Plutonium, Red Butler, Shy Violet, and Twinkle. They are kind of unusual shades for neons and a water marble which is why I felt compelled to put them together. I absolutely adore the shimmer in all of these neons. It really helps them stand out from the rest of the neons on the market. 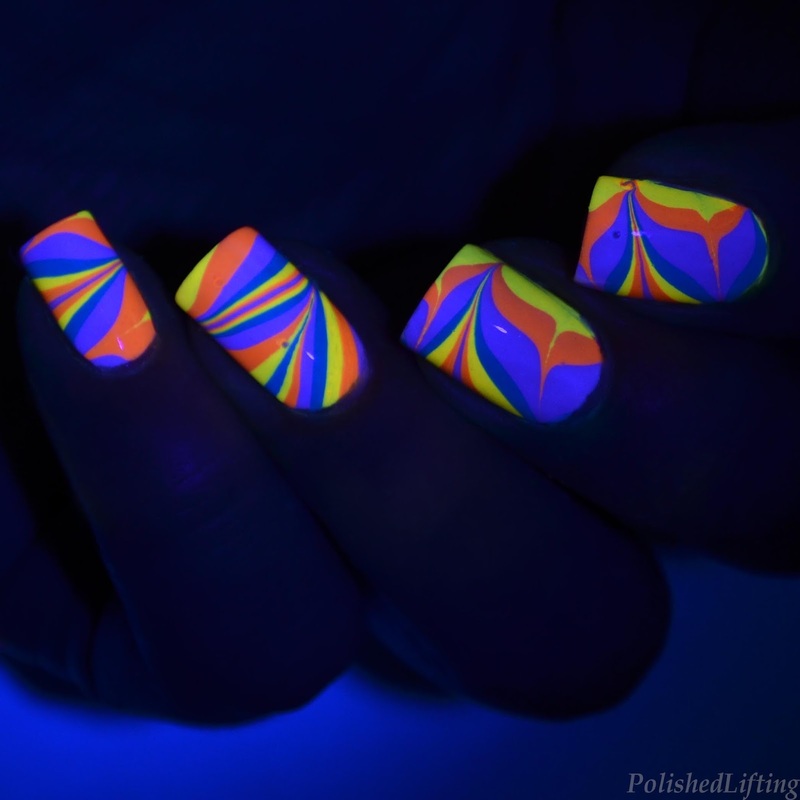 You didn't think I would swatch these without adding a black light photo, did you? One of the best things about neons is that they are almost always UV reactive. This totally makes me want to wear this to cosmic bowling! 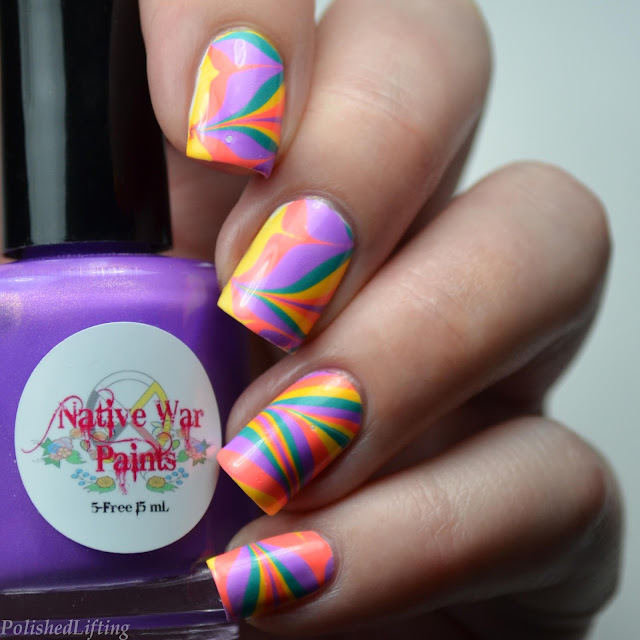 If you enjoyed this post you might like Neon Water Marble featuring Native War Paints and Native War Paints Drops of Sunshine featuring Born Pretty Cats.